As a tour guide in Israel I talk about history, religion, the desert, and everything else Israel has to offer. But there is always a big elephant in the room – the Israeli-Arab conflict. Sometimes I think this topic is more interesting than any other. Here I’ve tried to summarize the most important insights I’ve gained from hundreds of discussions about this issue. If you try to complete the sentence “The Israeli – Arab conflict is important because…”, you’ll discover that you don’t have an answer. The conflict is one of the smallest in the world. Israel is a tiny country without any strategic importance. There is no oil in Israel or in any country surrounding Israel. The only reason you hear about Israel is because enough people decided that it is important, but there’s no objective reason. Every moment you deal with this conflict is a moment you’re not dealing with the really big and important problems, such as China, a dictatorship with over a billion people that also has the largest economy in the world; the bloody and seemingly intractable conflict in Syria; and the genocide occurring in Sudan. The medium is the message. Normally, the closer and the more dramatic the event, the higher the chances you will hear about it in the media. This rule doesn’t apply to the Israeli-Arab conflict. The smallest incident in Israel immediately becomes headline news all other the world. Here’s one important fact to keep in mind: In more than 100 years of conflict, about 25,000 Palestinians have lost their lives. In the Arab world more than 15,000,000 people have lost their lives in the last 50 years alone. You hear much less about them, or the millions that are killed in Africa (or the some 80 percent of the world population that lives under totalitarian regimes). One of the reasons for this is that it’s very easy to work in Israel as a foreign correspondent. There is a modern infrastructure, freedom of speech, and journalists feel safe. The Palestinians also feel safe. Notice that the Palestinians never speak anonymously or cover their faces like people do when they fear the authorities. Israel, like all countries, is not perfect, but it is very important to remember that even the right to complain against the government is a privilege that only a few people in our world enjoy. It is absurd, but the European media cover Israel more than Europe’s involvement in Iraq and Afghanistan. Here is an interesting example. In 2011, the British newspaper The Guardian mentioned Israel over 1,000 times. In that year 115 Palestinians died, most of them terrorists. Iraq was mentioned 504 times although more than 4,000 Iraqis were killed, many of them in incidents involving British soldiers. This obsession is also prevalent in the academic world. Today there are more courses, seminars, books, and forums about this conflict than any other conflict. Many well-known people criticize Israel. José Saramago, the Nobel Prize winner; Roger Waters, co-founder of Pink Floyd; and other famous people have compared what the Israelis are doing to what the Nazis did. Here are some facts that prove otherwise. The life expectancy in the West Bank and Gaza in 1967 (the year Israel occupied the West Bank and Gaza) was 48 years. Today it is over 75 years – higher than all the Arab countries around Israel. In 1967 the infant mortality rate was higher than 150 out of 1,000 births. Today it is less than 19. The Palestinians are the most educated Arabs in the Middle East and North Africa. In 1967 there were no universities on the West Bank. Today there are 11 universities and 13 colleges. In 1967 only 4 Arab settlements had running water. Today there are more than 640 that do. (In Amman, the capital of Jordan, only tens of kilometers away, there is running water only one day a week). According to the World Bank, the Palestinians have received four times more aid than Europe did from the Marshall Plan after World War II. Every participant of my tours knew that the United States supports Israel. 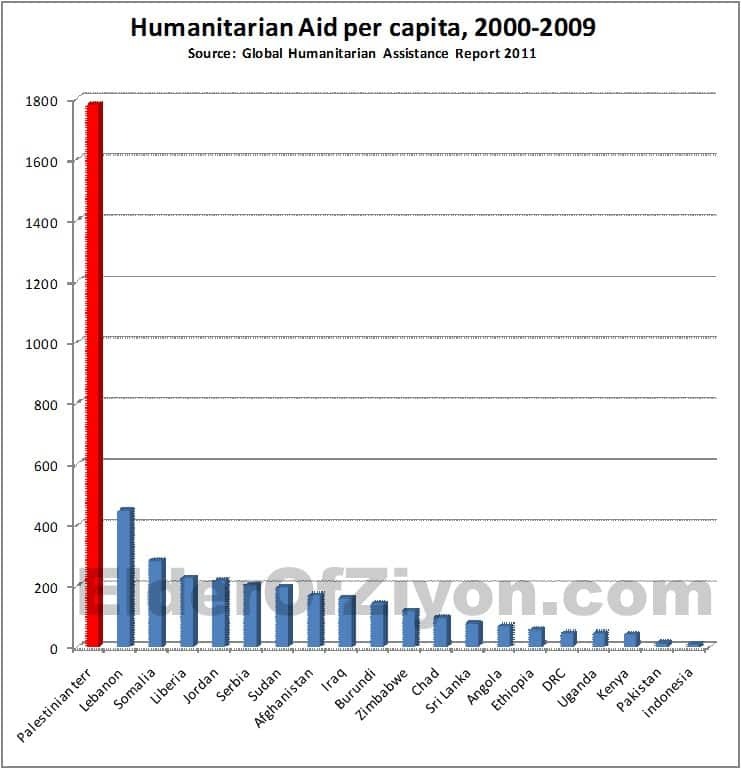 But none of them knew that the Palestinians get more aid from the United States, the European Union, Japan, the Arab countries, and the United Nations than any other people in the world. The notion that the world was so shocked by the Holocaust that it gave the Jews a country is naïve. That’s not the way world politics work. At the time of World War II there were already half a million Jews with a national consciousness, and with all the institutions that a country has – education, health, political systems, and so on. The establishment of Israel, like the establishment of dozens of countries, had more to do with World War II itself. After every world war there is a new world order. After World War I, a number of countries were established – such as Yugoslavia (1918), Poland (1918), Czechoslovakia (1918), Finland (1917), and Turkey (1923). After World War II, many countries were established – such as Jordan (1946), Syria (1946), India (1947), Pakistan (1947), Israel (1948), and Korea (1948). After the Cold War, which played out around the world, many countries were also established – such as Croatia (1991), Georgia (1991), Estonia (1991), and Moldova (1991). 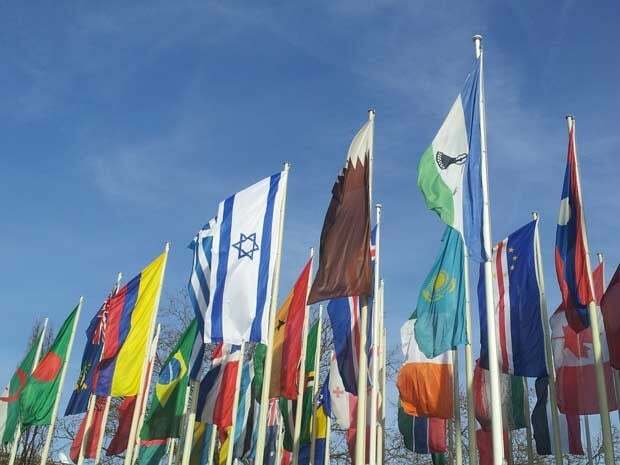 Israel was established in the wave of countries that were established after World War II. Most of the Middle East countries were established on French and British territories that they lost after the war. 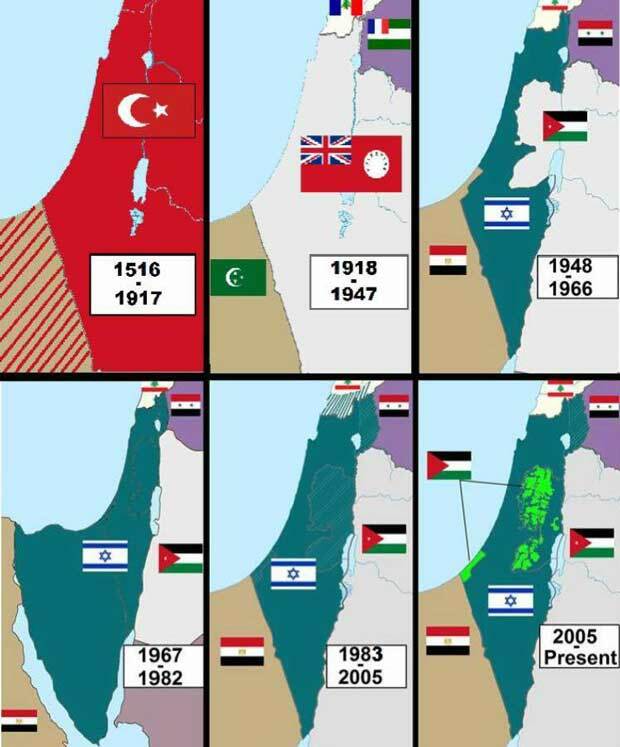 Many think that there was a Palestinian territory and then the Jews came and took their land. This is not so. The name Palestine originates from the word “Pleshet,” which, according to the Hebrew Bible, is an ancient people that probably came from the Greek island of Crete and settled in the southern coast of the Land of Israel. The name Pleshet or Philistia wasn’t common until the Roman emperor Hadrian decided to punish the Jews because of the Bar Kokhba revolt, changing in 135 the name of Jerusalem to Aelia Capitolina and the name of Judaea to Syria Palestina. The name wasn’t used during the Muslim empires that ruled the Middle East. Most of modern Israel was a small, neglected, and unimportant part of Syria. Jerusalem was never a capital city. Cairo and Damascus were the important cities of the region in the Muslim era. Only under British rule, starting in 1917, after the Ottoman Empire collapsed in World War I, did the name Palestine begin to be used again. If the British hadn’t come, there wouldn’t be a Palestinian people. And the Arabs that lived in the area would have been Egyptian or Syrian. Jews lived for hundreds of years in Jerusalem, Hebron, Safed, and Tiberius. In 1860 the Jews started buying land outside the four cities. Unlike the first white settlers in the United States, who robbed the land from the Indians, and unlike the Australians, who stole the land from the Aborigines, all the land that Jews settled on was bought and paid for, down to the last cent. Starting in the 1930s, the British and the United Nations made many proposals about how to divide the land of Israel into two countries – a Jewish and an Arab state side by side. The Jews agreed to the proposals but the Arabs didn’t and started a war. The Jews won. Many of the Arabs that Israel conquered kept on living in Israel, and today 20 percent of the Israeli population is Arab. It is true that Jews had it much worse under Nazi rule, but that doesn’t mean that Jews lived as equals or enjoyed religious freedom under Arab rule. Yes, there was a golden age of peaceful coexistence, but it was short and dates back 800 years. In all the Muslim countries where Jews lived, from Morocco in the east to Iran in the west, from Syria in the north to Yemen in the south, Jews suffered discrimination, pogroms, and racial violence before the advent of Zionism. After the establishment of Israel, most of the Jews who lived in Arab countries, about 800,000, had to flee to Israel. In 1967, the Arab states surrounding Israel threatened to eliminate Israel and moved their armies to the borders. In a surprise attack the Israeli Army defeated all the Arab armies in six days, and Israel tripled its size. The Gaza strip was controlled by Egypt and the West Bank by Jordan. In the 19 years (1948–1967) that the Palestinians suffered under Jordanian and Egyptian rule no one mentioned them. If the Six-Day War hadn’t occurred, the Palestinians would live under Arab oppression and no one would have dealt with the issue. The best example are the Palestinians that live in camps in Lebanon and Syria. Although the conditions there are much worse than in the West Bank, you don’t hear anything about this in the media. Many think that it would be better if Israel withdrew from the West Bank, while others say that this would jeopardize Israel’s security. There are good arguments on both sides, but thinking that the occupation is responsible for the conflict is false. There are three basic pieces of evidence that prove this: First of all, and most obvious, is that the conflict started long before the Six-Day War, and even before 1948. The Arabs were unwilling to agree to a two-state solution. The second proof is Lebanon; although there are no Israeli soldiers in Lebanon, Hezbollah clearly advocates the elimination of Israel. The same goes for Iran – although there are 1,000 kilometers (or some 620 miles) and two countries in between, although they are Persians and have a totally different culture and language to Middle East Arabs, Iran’s leaders call for the destruction of Israel. The origin of the conflict is that the Muslims don’t want to accept a non-Muslim state in the Middle East. There is good deal of exaggeration and distortion surrounding the Israeli-Arab conflict, but there is one big lie and it involves the “Palestinian refugees” and the “right of return.” Who hasn’t got a parent or grandparent who migrated because of a conflict? The wars and other conflicts of the 20th century produced hundreds of millions of refugees. In the new world order after World War II, entire populations migrated. Over 15 million Germans had to leave their homes in what was previously an eastern territory of Germany. Hundreds of thousands of people in the Balkans were forced to migrate because of the new countries that were established there. About 65 million people in what was the Soviet Union had to migrate. Who ever heard about the 300,000 Muslims who had to leave Bulgaria, or the 250,000 Greeks and Turks who had to leave their houses after the Turks occupied Cyprus in 1974? The refugee problems continue. About two million Christians have had to evacuate the Middle East because of Muslim attacks. But there is one group that you hear about more than all the others – the Palestinian refugees. As a result of the War of Independence in 1948, there were about half a million Arab refugees who left their homes. Many left because the Arab leadership told them to leave and promised them that they could come back. And like in all wars, there were some instances of evacuation. But unlike Germany that helped the German migrants, unlike India that helped the Indus and Pakistan that welcomed the Muslims, or Israel that welcomed the Jewish refugees, the Egyptians, Syrians, and Lebanese didn’t help the Palestinians, although they are the same people (in 1948 there was no difference between an Arab village in northern Israel and an Arab village in southern Lebanon). Jordan is the only Arab country that gave the Palestinians citizenship. The United Nations is part of the problem. Not many know that the UN has two refugee agencies – UNRWA, for Palestinian refugees only, and UNHCR, for all other refugees in the world. The two agencies have different definitions of what constitutes a refugee. The definition used by UNRWA grants refugee status to the children of Palestinian refugees, so every year the “official” number of Palestinian refugees grows. One of the groups of refugees not getting any attention is the Jewish refugees from the Arab countries. The Jews that left the Muslim countries never harmed the Muslims but when Israel was established, some 800,000 of them had to flee, leaving behind everything they had to start a new life in Israel. Most countries are nation states that have a common ethnic and cultural denominator. All Arab countries identify themselves as Muslim. Most European democratic states are also nation states. In countries like Denmark, Norway, Poland, and Iceland, Christianity has a special status. The Jews also have the right to their own state. Some 29 national flags bear crosses, 13 national flags the Muslim crescent, and only one national flag the Star of David.